Sign up on their website to get access to free stuff. Get a free song, Download "While I'm Waiting" from the FIREPROOF Soundtrack (courtesy of Provident Label Group). 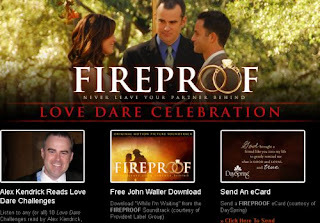 Send a free ecard from the Fire Proof website.